Remarks and general Information in German: John T. Collins laut Copyright Index. The Mortal Sin is a motion picture produced in the year 1917 as a USA production. The Film was directed by John H. Collins, with Viola Dana, Robert Walker, Augustus Phillips, Lady Thompson, Henry Leone, in the leading parts. We have currently no synopsis of this picture on file; There are no reviews of The Mortal Sin available. - The Motion Picture News, March 17, 1917, pg 1690. - The Motion Picture News, March 24 1917, pp 1871-72. - Motography, March 24, 1917, pg 641. - Motography, April 14, 1917, pg 763. - Motography, April 21, 1917, pg 813. - Motography, May 19, 1917, pg 1027. - The Moving Picture World, December 23, 1916, pg 1826. - The Moving Picture World, March 17, 1917, pg 1824. - The Moving Picture World, March 24, 1917, pp 1948-49. - The Moving Picture World, 23 October 1920, pg 3206. - The New York Dramatic Mirror, December 30, 1916, pg 22. - The New York Dramatic Mirror, March 17, 1917, pg 29. - Syracuse Journal, March 31, 1917, pg 5. - Variety, March 16, 1917, pg 35. 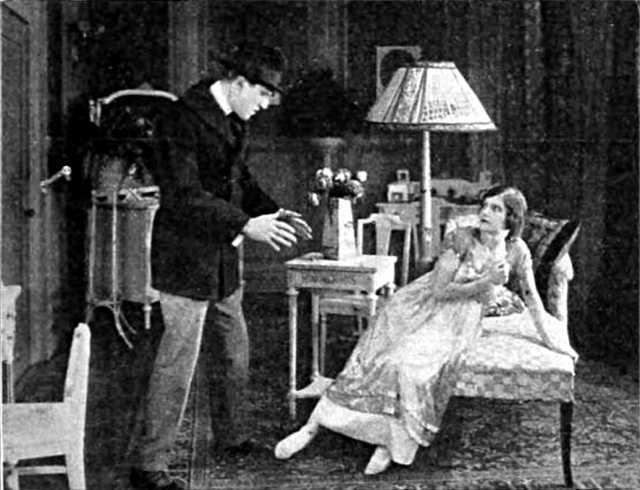 - Wid's Film Daily, 15 March 1917, pp 175-76.